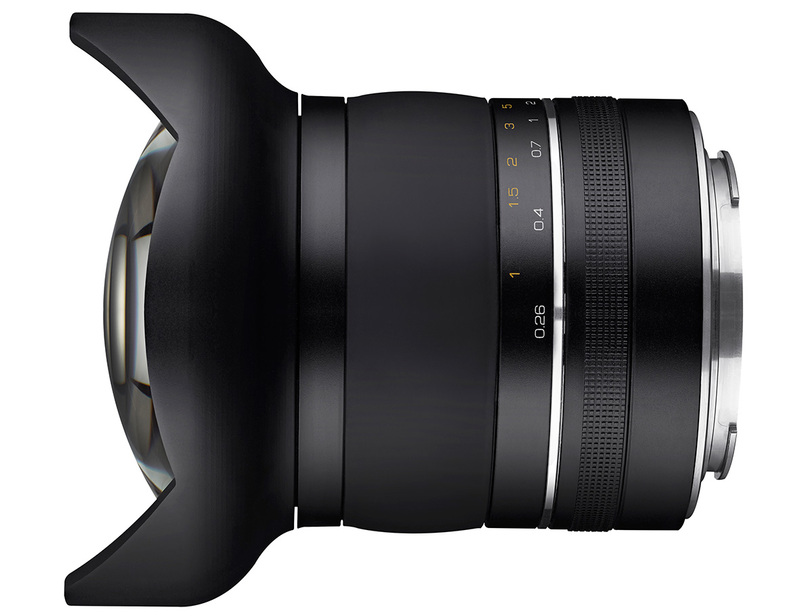 Samyang's 10mm f/3.5 prime lens, which it says is the world's widest 'distortion-free' prime lens, has been announced. The full-frame optic will first be available in Canon mount, followed later by Nikon F mount. Intro2020 has officially announced the Samyang XP 10mm f/3.5 lens, which it says is the world's widest 'distortion free' (non-fisheye) prime lens. It will initially be available for Canon full-frame, with Nikon full-frame following shortly. The lens was first shown at Photokina 2018. The new XP 10mm f/3.5 lens encapsulates the brand’s universally respected optical technology, especially in the wide angle lens category. It provides the ultimate in ultra-wide-angle coverage (up to 130° angle of view), with crystal-clear, non-fisheye image quality. As the demand for premium lenses for high-end cameras increases, Samyang’s new XP 10mm f/3.5 elevates the quality of ultra-wide images and provides a burst of creativity for users, with its high resolution of more than 50 megapixels and distortion-free images for creating outstanding landscapes and architectural shots. well as architecture and indoor shots in super-high resolution and distortion-free. The XP 10mm f/3.5 will be the perfect lens for a broad range of photographers and cinematographers who wish to create professional photos and videos in exceptionally high resolution. The lens oozes quality with its solid, metal body. The absolute resolution XP 10mm f/3.5 lens will be available during March 2019 with a suggested retail price of £949.99.